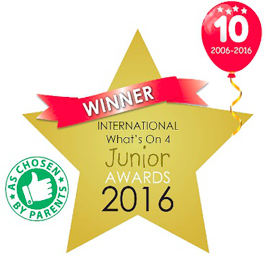 La Jolie Ronde Languages for Children has been crowned Best National Activity for 5-12 year olds for the 3rd year running in the prestigious International children’s awards “What’s On 4 Juniors Awards 2016”. 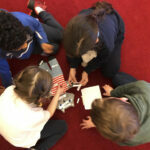 Earlier in the year the Award Programme asked parents and children across the UK to nominate their favourite after-school and weekend activities. 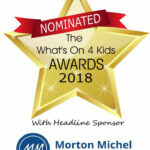 Every activity had the chance to be nominated and voted for, making the Awards a true representation of how parents & children feel towards what is on offer and a reflection of their eagerness to reward the very best. The Awards, that are now into their 10th year, were held last Thursday at a champagne Finalists Award Ceremony which saw La Jolie Ronde beat 5 other activities to scoop the Award. La Jolie Ronde has been successfully leading the way in early language learning to nursery and primary aged children, throughout the UK and Ireland, for over 30 years. 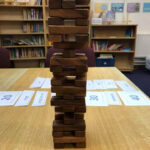 The La Jolie Ronde methodology of language teaching includes immersion in French and Spanish from the very beginning, lots of repetition from week to week introducing the target language through fun games, songs and activities. 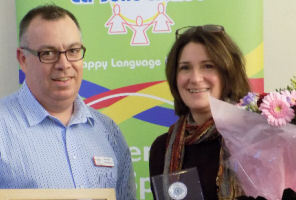 Georgia Gallagher who runs French/Spanish classes for 5-12 year olds in Greystones said “We are absolutely delighted to win this Award for the 3rd year running. It makes it even more special as it’s the parents and children who have voted for us. Learning a second language comes easy to very young children therefore it is the ideal time to familiarise them with sounds and patterns of a new language and culture. 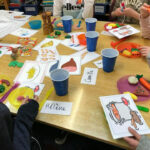 My classes, which will start again from September, are designed to encourage a positive approach to language learning and the emphasis isn’t on reading and writing the language but on speaking, repetition and simply having fun therefore the children are much more happy, relaxed and better at imitating sounds and pronunciation” he/she added.